Turn to Digital Dog Direct for your large-format printing needs including signs, banners, posters, and trade show graphics—just about anything you need when it’s time to say it bigger! Digital Dog Direct uses the latest technology that allows us to offer a wide range of indoor and outdoor applications with stunning results at cost-effective prices. Our outdoor banners are weather resistant and colorfast. We produce gorgeous results on all types of paper, fabric, and vinyl stock. 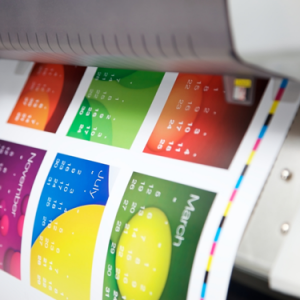 Our large format printers use water-based latex ink that dries immediately—ideal for pressing time frames and urgent deadlines. Latex ink is perfect for printing on fabric that can be folded to easily fit into a suitcase, briefcase, or any other type of carry-on. We’re also the go-to place for high-quality scientific poster printing. Our printing experts can make sure your research and medical posters stand out and effectively present your results whether they are printed on paper, vinyl, or fabric. When you want to say it big, think Digital Dog Direct. Wide-format printing is a specialty here. We ship almost anywhere in the world and can make sure your graphic arrives at your conference, trade show, event, or hotel at the same time you do! And most of all, you can always expect a carefully executed final product that results in an outstanding professional presentation every time.